Who doesn’t love a fireplace? The look, the warmth, the feel. Not to mention the style it adds to the room. 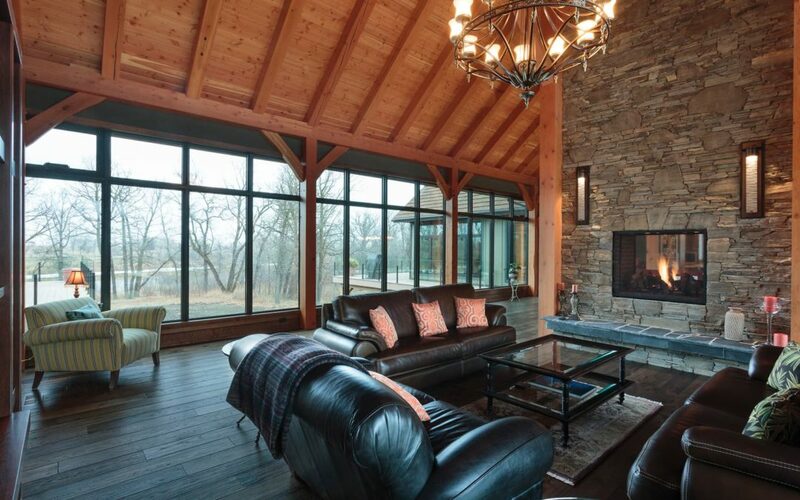 For many of our clients the fireplace is part of what they see when envisioning their dream space. A fireplace creates a warm feeling in a home. Nothing beats sitting by a fire on a cold winter night. 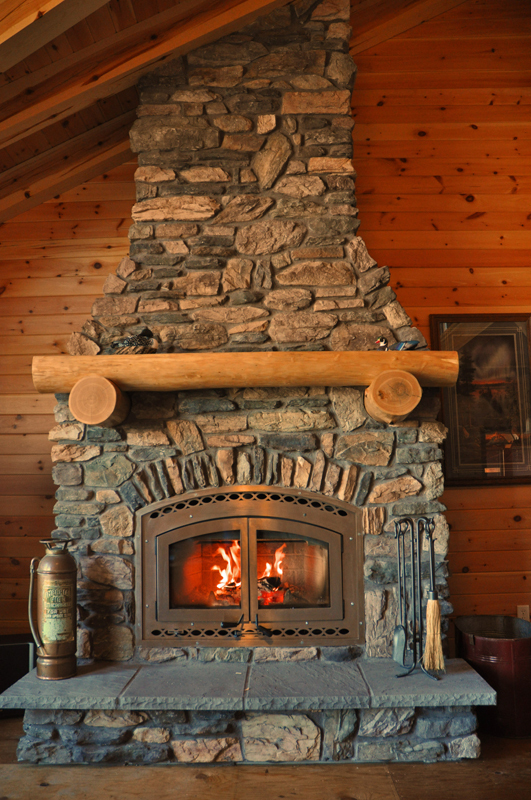 If you’re using a fireplace as a heat source in the winter you will definitely want to go with a wood burning unit. While there are many styles to choose from, you will want to go with the one that also fits into he look and feel of your home or cottage. The important thing to note is that there are many units out there that don’t really pump out a lot of heat. You’ll want to make sure that you‘re going with a high efficiency model that’s designed to create heat in the room and not out the chimney. There is something special about walking into a room that has a fire going. Whether it’s the heat from the unit or just the glow from the fire, your options for this type of fireplace are wide open. You can go with a wood burning option, which doesn’t have to be high efficiency in this case. If you are not interested in dealing with getting wood, and lighting fires, the other 2 options would be a gas or an electric fireplace. There are many options for both. With a gas fireplace you will need to have a gas hookup or a large propane tank installed and fill it up regularly in order to operate the fireplace. I had the same reaction when one of our suppliers approached me to talk about their new electric fireplace line. I humoured the supplier because I like to try and stay open minded. I was shocked at what they showed me! I can’t believe how far these units have come! Some of them look super realistic and the cost is a fraction of a gas or wood burning unit. In fact, I challenge you to go through our photos and try to pick out which pictures have a electric fireplaces in them. I’ll give you a clue, there’s more than 1. My guess is you have probably already been through our photos and never noticed. 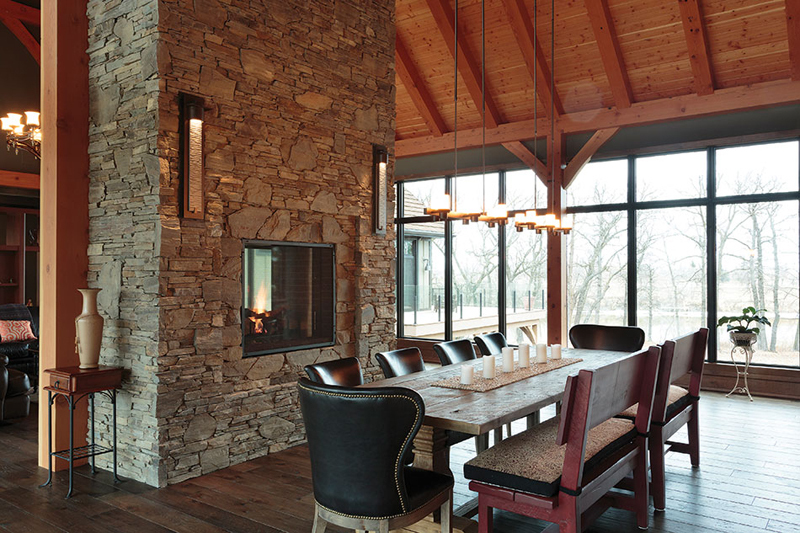 When including a fireplace as a design feature people rarely go with a wood burning unit. Gas and electric fireplaces are both cheaper than wood burning and are easier to run and maintain. Another part of the design component that is often overlooked, is that a wood burning fireplace requires more clearances than a gas unit. There will be a minimum height for anything above the fireplace, a minimal distance for anything beside the unit and all wood burning units require non-combustible material on the floor, or hearth, in front of the unit extending 18-24”. The clearances required on a gas unit are much less and there are no minimum clearances on a electric units, providing you with many more design options. If this is your primary reason for a fireplace, a wood burning unit is probably your first choice. 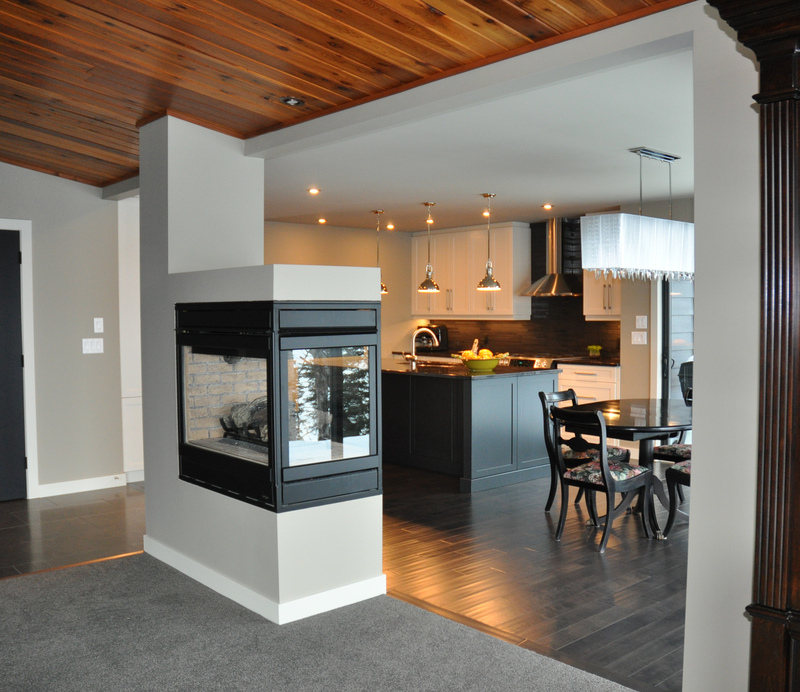 Any wood burning unit will work as long as it fits your plan design, style and budget. If you love the feeling of sitting by a fire, but aren’t too keen on dealing with the work and mess from a wood burning unit, a gas option could also work here. Many people think gas fireplaces are just for looks, but many of these units actually provide a decent amount of heat. 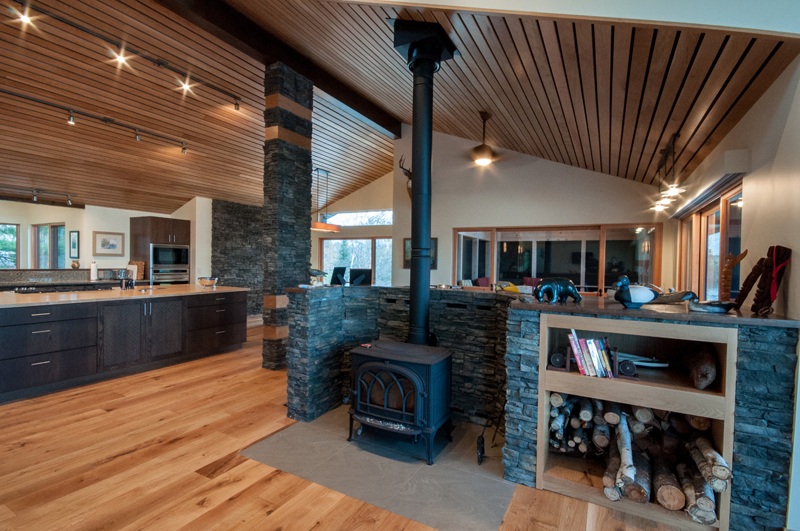 Regardless of the reason for wanting a fireplace in your dream home or cottage, we can guide you through the process and help you make the best decision for your needs, design and budget. If you’re ready to take the next step toward building your dream home or cottage, click the link below to set up a time to speak with us. Let’s Shed Some Light on Lighting Up Your Dream Home.